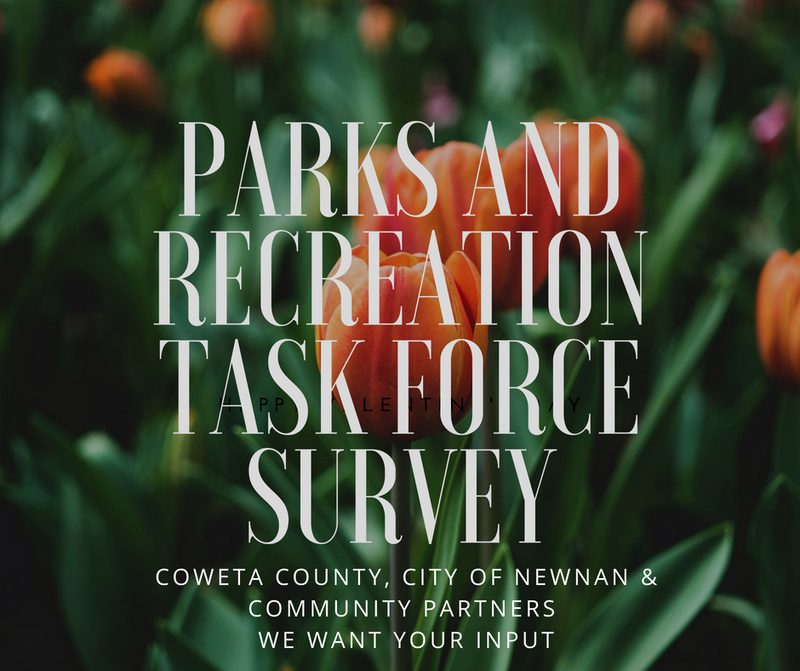 The Coweta County Board of Commissioners has recently appointed a Parks & Recreation Task Force. The purpose of the Task Force is to evaluate all aspects of the County’s Parks & Recreation services as a result of changes in participation of programs, construction of new facilities, and population growth during the last decade. The Task Force will assess the current programs and services, evaluate the recreational structure of other similar communities, and make any recommendations to the Board of Commissioners to address the findings. The Task Force is comprised of stakeholders from the County’s municipal recreation partners, the school system, and County staff. Members include Al Grieshaber, Grantville City Manager, Cleatus Phillips, Newnan City Manager, Harold Simmons, Senoia City Manager, Jason Olvey, Coweta County School System, Carl McKnight, County Recreation Director, Mike Johnson, County Public Buildings, and Kelly Mickle, Assistant County Administrator. All Task Force meetings are open to the public and include a time for public comment.